Cultural heritage around the globe is continually subject to a multitude of threats, from malicious acts during wartime to neglect, overexposure and natural disasters. Researchers at the University of California San Diego Qualcomm Institute – along with conservationists and researchers at other universities – increasingly turn to advanced digital tools and techniques to better document, preserve and share the world’s historic places. This approach was discussed in detail at the 26th International Comité Internationale de la Photogrammétrie Architecturale (CIPA) Symposium, hosted by Carleton University in Ottawa, Canada. The symposium, titled Digital Workflows for Heritage Conservation, brought together archaeologists, engineers, architects and conservation specialists from universities, government agencies and private foundations around the world. They discussed best practices for digitizing and restoring heritage structures and monuments while exploring advances in virtual and augmented reality to engage more diverse audiences. In attendance at the conference – along with delegates from more than 25 countries – were Assistant Research Scientist Dominique Rissolo and Structural Engineering Ph.D. student Michael Hess of the QI Cultural Heritage Engineering Initiative (CHEI) at UC San Diego. 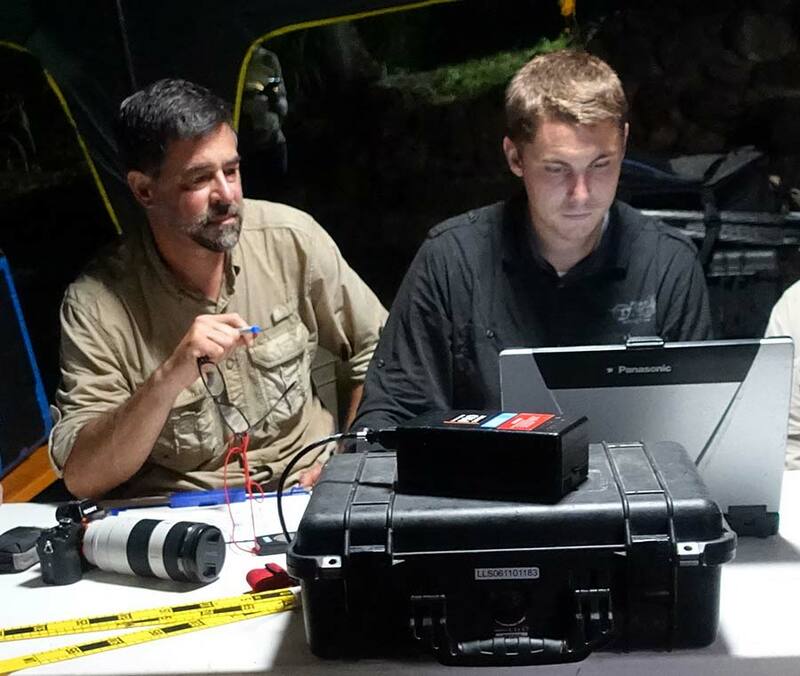 Rissolo and Hess were part of a research team that included CHEI Director Falko Kuester as well as Vid Petrovic, Dominique Meyer, and Eric Lo, who are students and staff at QI and the Jacobs School of Engineering. 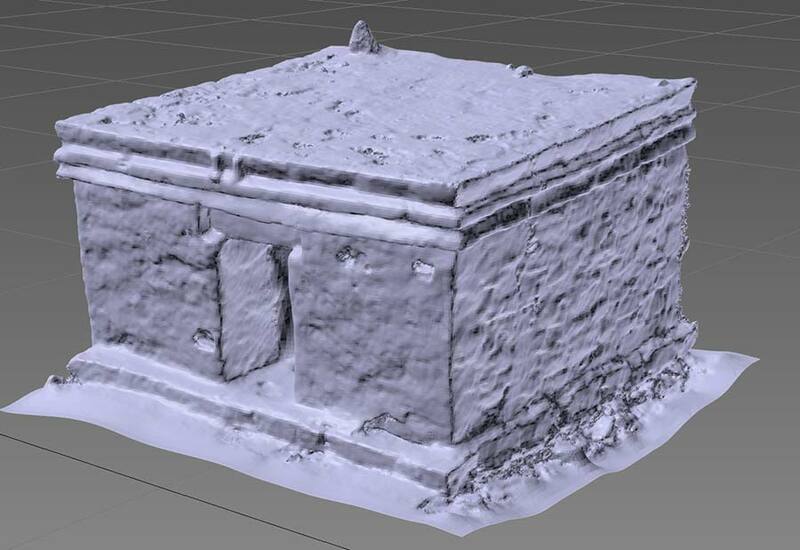 Rissolo presented on digital preservation of ancient Maya cave architecture along the Caribbean coast of Mexico. 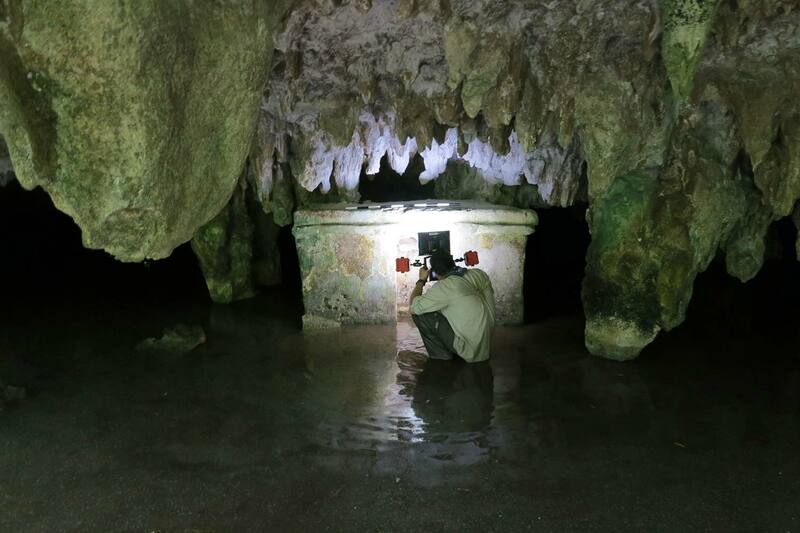 With the rapid expansion of tourism development on the “Riviera Maya,” many cave sites – and unique altars and shrines that they have long concealed – are exposed to new threats. Hess demonstrated new interactive software tools for classifying and analyzing construction materials via 3D point clouds. Novel capabilities adapted by Hess are unique to the point-based visual analytics software developed by Petrovic and are transforming the way specialists analyze data from heritage structures. The paper presented by Hess was among the top-10 selected to appear in the journal Virtual Archaeology Review. Other featured projects at the symposium ranged from monitoring rock-fall hazards at Petra in Jordan to digitally preserving war-ravaged mosques in Aleppo, Syria and earthquake-rattled structures in Katmandu, Nepal. Also discussed were novel fabrication techniques used to replace the lost or disappearing architectural elements of Canada’s treasured Parliament buildings. Rissolo and Hess were recently invited by the Department of Civil and Environmental Engineering at Princeton University to give a lecture on their work in November. Through CHEI and their CIPA partners, Rissolo and Hess say they hope to contribute to a stronger and more vibrant digital heritage community. CHEI Director Falko Kuester notes that in an era of Big Data, “creating data that is both trusted and actionable has become a central research challenge and mandate.